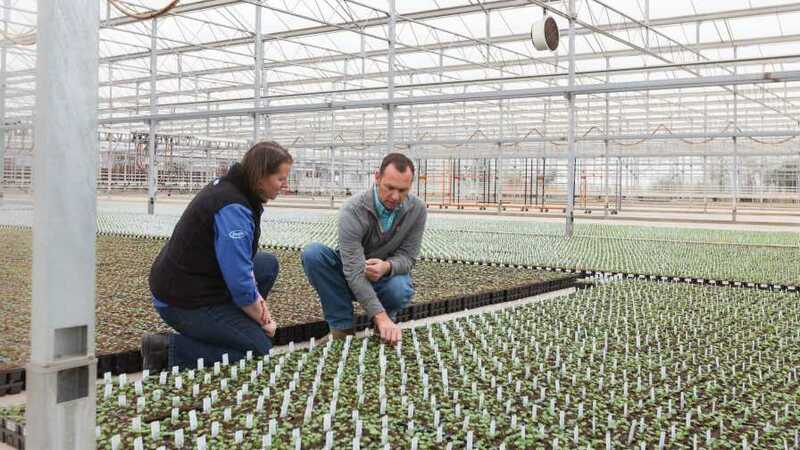 Jennifer Neujahr of Profile Products travels weekly to work with growers like Ron van der Hengst of South Central Growers. 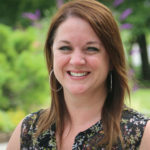 When Profile Products hired Jennifer Neujahr to sell and represent HydraFiber, a new product that no one had ever heard of, she was told that the odds were against her because growers rarely change their soil. 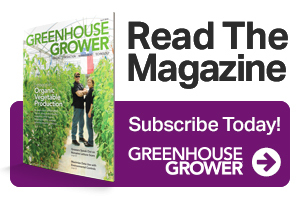 Since then, the HydraFiber team of one has multiplied, and they’re now in talks with, trialing product with, or selling to more than half of Greenhouse Grower’s Top 100 Growers list. The company is also partnering with several mix companies to blend media mixes containing HydraFiber. The customer and prospect list continues to grow, as HydraFiber takes on new markets in North America and around the world. With decades of experience in ceramics and its core competency in wood fibers, Profile Products laid the groundwork for the Horticulture Division 2012, when the peat industry was showing supply issues, coir costs were rising, and weather was impacting the industry. HydraFiber is manufactured at Profile Products’ Conover, NC, factory, located near a large regional supply of virgin Southern Yellow pine forests — the species of pine tree (Pinus taeda) identified by leading universities as the one of the best materials for growing substrates. In a patented thermal refining process, the product is pressurized to create long, thin fibers with a large surface area that offers quick root establishment and rooting, as well as a low bulk density and high porosity, according to Kevin Spittle, Profile Products’ Director of Research and Development. This manufacturing process yields a consistent product that can be produced quickly and shipped within a few hours, allowing growers to receive shipments on demand and reducing the need to store product. HydraFiber is pressurized through a special thermal refining process to create long, thin fibers with a large surface area that offers quick root establishment and rooting, as well as a low bulk density and high porosity, according to Kevin Spittle, Profile Products’ Director of Research and Development. Profile Products works with researchers from universities with premier media research programs, including North Carolina State University, Auburn University, University of New Hampshire, and Michigan State University, to look at mix rates for HydraFiber with a variety of different media components. Neujahr says at first, researchers were both curious and skeptical, but with trial results showing consistent crop growth, minimal differences in fertilizer and plant growth regulator requirements, and improved water holding capacity and air porosity, the independently verified research results are encouraging the company to continue to experiment with higher ratios of the product. With a couple of seasons’ worth of experience trialing and growing with HydraFiber, growers are finding that it is a consistent, easy-to-use product that offers a variety of benefits. Aside from the growing benefits, growers have adopted the new product so rapidly because of the business efficiencies, logistics and storage solutions it has provided. Currently, most growers start incorporating a ratio of HydraFiber of 30% to 35%, and then move up from there, Neujahr says. “Most of our customers grow in either a 70% peat/30% HydraFiber, 60% peat/40% HydraFiber, or 65% coir/35% HydraFiber blend. We are confronted with new opportunities daily, and customers who want to try new formulations and new raw materials,” she says. 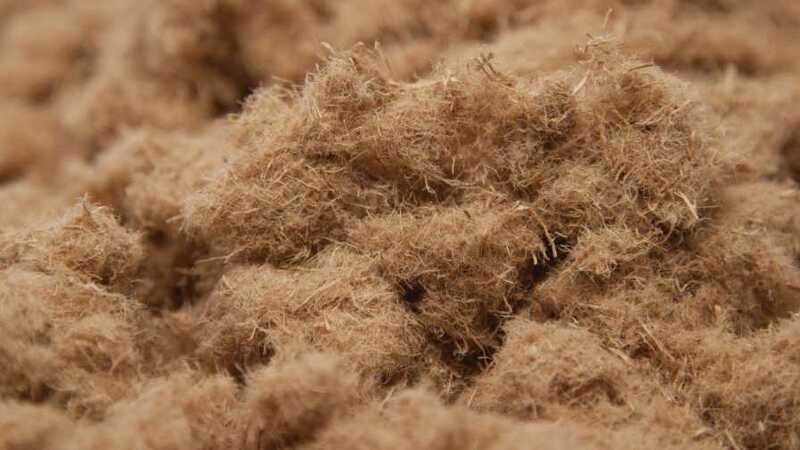 Color Spot Nurseries’ Director of Purchasing and New Product Development Michael Treiber says the operation has converted the majority of its media mixes to a coconut coir-HydraFiber blend, cutting out peat completely. In addition to the operational efficiencies, the product being domestically produced was another big plus, Treiber says. HydraFiber ships to growers in compressed, 50-pound bales with a 13:1 expansion ratio, which dramatically reduces shipping costs and storage space. Growers don’t have to hold inventory on site and can set up auto-delivery contracts. The HydraFiber Processing Unit is essentially a specialized piece of equipment that fits into most growers’ media mix lines. It’s designed to return bales to their fibrous state, and maximize the yield of each bale. Profile Products partnered with AgriNomix in 2016 to design and manufacture a piece of machinery, the HydraFiber Processing Unit (HPU). The HPU is essentially a specialized piece of equipment that fits into most growers’ media mix lines. It’s designed to return bales to their fibrous state, and maximize the yield of each bale, producing a little over a cubic yard of expanded fibrous material per bale, ready to blend in with the other media components a grower selects. Since October 2016, nearly 50 machines have been built and installed at grower and blender operations around the country. The HPU machine has fit seamlessly into most growers’ operations, and in some cases has even eliminated traditional mix lines, Neujahr says. There are a couple of capacity options available for purchase or lease – a standard unit, which meets the mix line capacity needs of regional blenders and growers that are producing soil blends, and an extra-wide unit, offering a double conveyor that can process two bales at once for customers with mix lines producing more than 300 yards per hour. 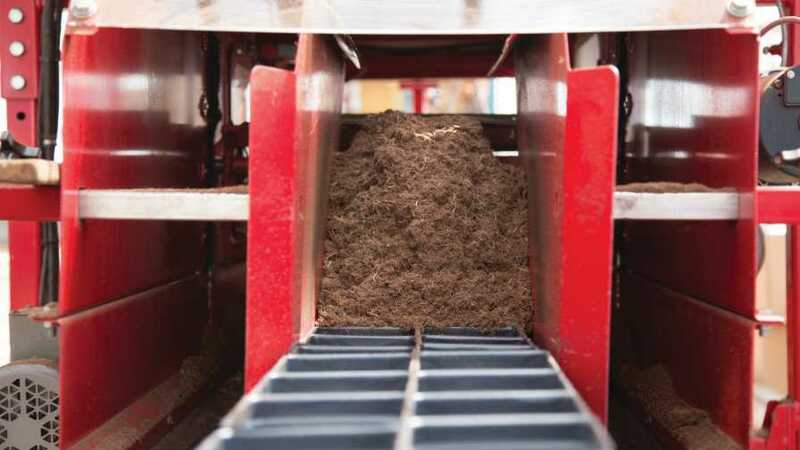 AgriNomix also recently introduced a new unit called the HydraFiber Expander Unit, a lower capacity machine for growers who mix their own soils but with smaller mix lines. One full-time member of the HydraFiber team, Nate Carney, Equipment Specialist – Horticulture, dedicates his time to ensuring growers’ HPU machines are working at capacity, and provides maintenance and calibration advice to growers running the equipment. Neujahr says it has been exciting to see how HydraFiber has caught on in the industry.